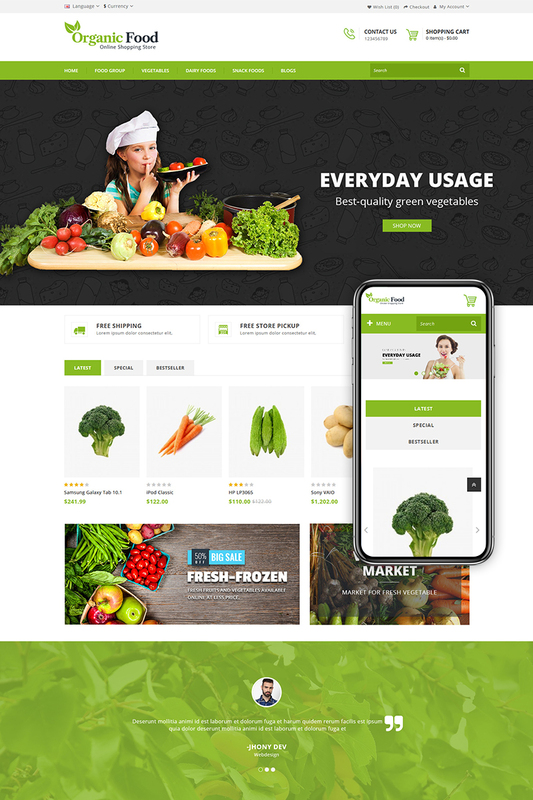 Organic Food OpenCart Template is specially designed for food, restaurant, vegetable, pizza, garden tools, coffee, chocolate, cake and flowers store. It is also multipurpose theme which can be used for any kind of online store. Organic Food OpenCart Template looking good with itâ€™s color combination. All sub pages are customized. It is very nice with its clean and professional look. Very nice template with great features. Esy to install. Good admin panel.